Welcome to Statesville North Carolina! A place for family, friends and fun. Statesville NC is located in the Piedmont of North Carolina and at the crossroads of two major interstates (I-77 and I-40), allowing Statesville to be a hub for destinations like Hickory, Charlotte, Winston-Salem, Boone and the beautiful Blue Ridge Mountains. I love the fact that I can drive to the beach in 3 hours or to the mountains in 1.5 hours and have the best of both worlds. With the convenience to the highways, Statesville is a desirable place to live if you are commuting from any of the major metropolitan areas. Named “All American City” in 1997 and in 2009, Statesville has a lot to cheer about. This charming southern city located just 30 miles north of Charlotte has something for everyone. With a population in 2011 of just over 27,000, it has a healthy workforce and was named with Mooresville NC as the #1 Micropolitan areas in the country. I wrote a blog several years ago about the 10 best reasons to live in Statesville NC and those things still hold true today. A fabulous climate that averages 40 degrees in the winter months and 75 degrees in the summer months, wonderful communities and people, fun activities, convenient location, great schools and so much more. Statesville NC has a new tagline that says “Statesville – Where it all come together”, and it fits our city to a tee. Statesville is home to more than 175 acres of public parks where you can enjoy walking trails, picnic areas or just take the kids to feed the ducks and meet some new friends. Check out the Lakewood Park, The Lake Norman State Park and Mac Anderson Park – some of my favorites. One popular walking area is the Greenway or the Carolina Thread Trail that that reaches 15 counties and 2.3 million people. There are 93 miles of The Thread open to the public – linking people, places, cities, towns and attractions. If you enjoy a bit of History, then a nice stroll through the Downtown Statesville Historic District would make your day. 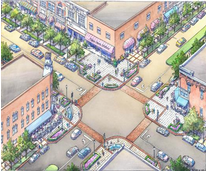 Enjoy the beauty of history preserved mixed with modern updates to make downtown Statesville a designation not to miss. Today you will see the progress of the new Streetscape project that is widening the sidewalks and adding outdoor seating and landscape for all to enjoy. Residents of Statesville enjoy shopping in the downtown district with a variety of boutique shops, quaint restaurants and specialty stores. Downtown Statesville hosts their downtown Art Crawl several times a year where you can get a sense of the artistic talent of our local artists and enjoy the downtown shops while sipping some wine and munching on some great cheese! The architecture from these buildings that date back to the 1800’s will give you another level of enjoyment. Be sure to check out the Historic Vance Hotel, the newly refurbished City Hall and the famous Clock Building (Former home of the First National Bank). One thing that is a must see is the amazing display of photos collected and displayed by Steve Hill that have found a permanent home in Downtown Statesville on Center Street. With a cost of living 7.9% below the US average and a medium home cost of $124,500 (2011), Statesville is a very affordable place to live. Iredell County enjoys one of the lowest property tax rates in the State and a large inventory of affordable homes for those relocating to our area. 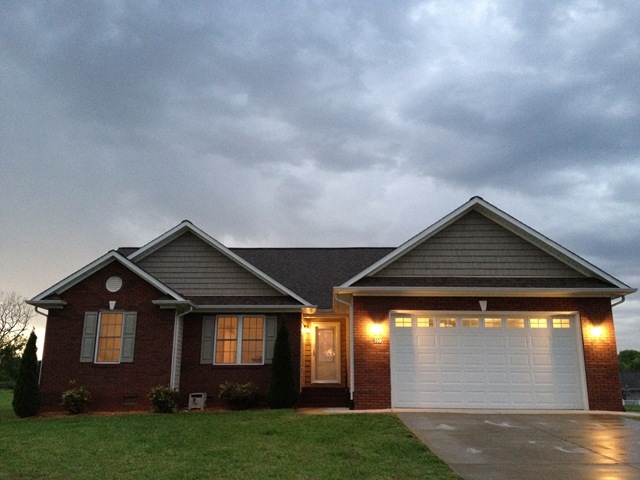 Housing in the Statesville area includes something for every lifestyle. If you enjoy living near water, Statesville has many communities that boarder beautiful Lake Norman. With over 500 miles of shoreline, Lake Norman stretches from Huntersville to Statesville and offers a lifestyle like no other. You will find homes that range from the low 200,000’s into the millions on Lake Norman. You may want to check out some communities such as Harbor Watch, Windemere, Wildlife Bay, Falls Cove, The Highlands, Greyrock Shoals, Spring Shore and Ridgewood. If living on or near a golf course is more your style, you may want to take a drive through the Statesville Country Club (Shannon Acres), Augusta Greens, Fox Den, River Oaks or Brittian Hills. 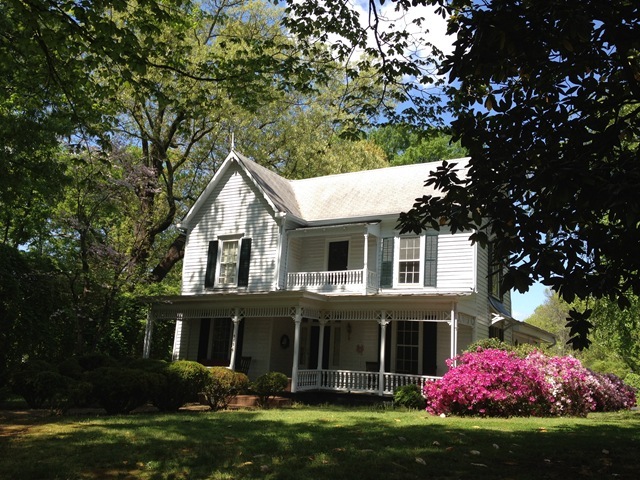 Maybe living in one of the beautiful Historic Homes that surround downtown Statesville is more to your liking. Be sure to check out homes in the 4 Historic Districts that surround the 47 commercial buildings of Historic Downtown Statesville. Home prices range from $50,000 all to way up to homes over $500,000. There is a little something for everyone that enjoys the beauty of the past and has a passion to preserve it. The Mitchell College Historic District, just west of the Central Business District, surrounds Mitchell Community College and contains approximately 170 structures dating as far back as the mid 1800s. This district boasts the oldest homes in Statesville. The Lowenstein-Henkel House on Walnut Street is the most ornate Queen Anne Victorian in Iredell County and ranks among the top ten in North Carolina. East Broad Street-Davie Avenue Historic District is located east of the Central Business District, between downtown and I-77. Characterized by late Victorians with wide porches and tree-shaded yards, most homes date to the late 1800s. You will love taking a walking tour of this neighborhood with its tree lines streets and southern charm. Mulberry and Armfield Streets, located in the Academy Hill Historic District, are the focal point of this district and includes the Mulberry Street School which was completed in 1892. The Statesville Male Academy, constructed in 1875, is now a private residence. Victorian and other early 1900′s architecture prevails in the Race Street District, named for the main street in the district and bicycle races one held there. Some of the homes in the historic districts are occasionally open for tour during the Holidays. You can even schedule a Tea Party with the “ladies” of history and travel back to days gone by. 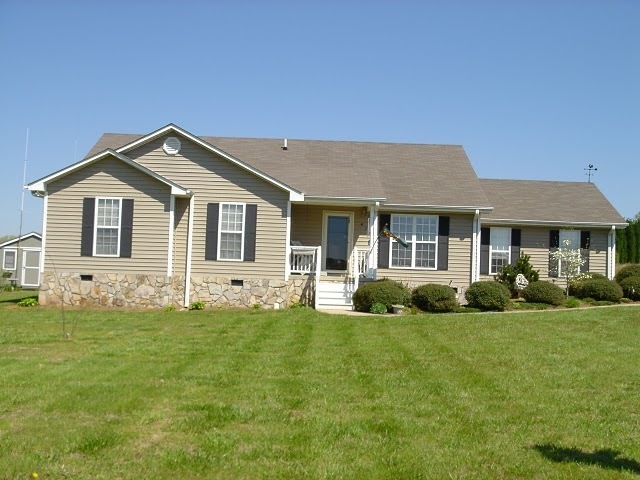 Living in Statesville NC also offers the choice of having your dream home built for you. Although new construction slowed down during the recession 2008, local builders have started to build again and many of the communities that sat vacant for years are now starting to see some life again. During the peak of the building, several new neighborhoods were built out by developers with streets and utilities in place but the home building was put on hold. Many neighborhoods went through some builder changes and decisions about amenities were altered but the communities are still active and ready to flourish. Whether you choose a national builder for your home or choose a local custom builder, your options are limited only by your imagination and your budget. Right now you can visit a model home in communities for True Homes such as Martha’s Ridge, Valley Brook and Olde Statesville or home by Adams Homes in Georgia Mills or Hidden Lakes. Wheatfield Community, south east of Statesville, has a variety of custom home to choose from and a brand new model home to tour. 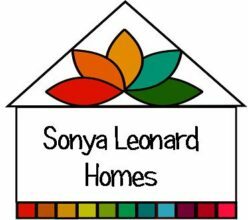 Some other new Home Communities in Statesville you might consider are: Pine Forest, Castlegate, Sage Forest, North Lake, Wood Bridge, Swann Crossing, Poplar Ridge, Deer Crossing, The Reserve at Deer Crossing, Augusta Greens, Seven Springs, Sanctuary Cove and Shannon Acres. If you would like to just move right into a home that is ready to go with all the features you have been searching for, you are sure to find the perfect home in Statesville’s already established communities. Some of the most popular that you might want to take a drive through are: Dobbs Valley, Meadow Oaks, Shannon Acres, Dogwood Hills, Graystone Meadows, Spring Forest, Baymount Meadows, Deer Crossing, Celtic Ridge, Fox Den, Saddlewood, Angel Oaks, Lippard Springs, Donsdale, Dove Meadows, Maple Creek, Valleybrook, Olde Statesville, Deercroft, Taras Trace and Summerset. There are also lots of classic brick ranch homes and other styles that are not in a subdivision for those that prefer to be in a more private setting. If you are looking for acreage, you will find it in Statesville NC as this area has lots of farmland in the North Iredell area. Many of the communities offer lot sizes of .5 acres or more on average, allowing for privacy and space to play. Relocating to Statesville NC? Give us a call at The Home Style Team or send us and email to let us know what you are looking for. We will send you out a relocation packet with area information and set you up on your “Dream Home” personalized website to help keep you organized when searching for homes. Living in Statesville NC offers many options for education from public schools, to private options to Higher Education. Public Schools options with depend on the where you live. You can visit the Iredell- Statesville Schools Website for school assignments and more information about the school district. If private schools are what you are searching for, you will find many options such as Statesville Montessori, Cornerstone Christian, Southview Christian Academy and Statesville Christian. There is also the American Renaissance School in downtown Statesville for grades K-8. Higher Education options include Mitchell Community College andGardner Webb University. Click this link for common questions about enrollment in NC Public Schools. Statesville is full of activities that will please any age or interest. Every year you will enjoy the sites and tastes at the Carolina Ballonfest, the Crossroads Pumpkinfest, the annual Christmas Parade or the summer “Friday after Five” Concert series. Take a visit to the Fort Dobbs Historic Civil War Site or take the kids to Zootastic for a fun fill day with the animals. You might like to take the downtown guided tour of historic sites or join in on the annual “Amazing Race” sponsored by the Statesville Chamber of Commerce. Come out for the downtown Art Crawls or take a day visiting one of the local NASCAR Race shops. If you love horses, a drive out the Love Valley (our very own western town in the Piedmont) and take some horse riding lessons or watch a real rodeo. You can drive to Troutman for the annual Iredell County Fair or watch the annual Independence Day Parade and Fireworks. Let’s not forget that NC has lots of vineyards in this area and a must see is Daveste Vineyards in Troutman. A great day of wine tasting and good music! Do you love trying new places to eat? Statesville has some fabulous choices when it some to casual or fine dining. With the new streetscape in Downtown Statesville, dining options have been expanded to include some more outdoor options. Stop in and try out The Black Angus Grille, Risto’s Place or 220 Cafe. D’Laneys Sports Bar is a great place to have a sandwich and a cold beverage and don’t forget the famous pasta at Sub Express. A couple new additions to downtown are Sabines News Cafe and Panini’s Mediterranean Cafe. Just off Broad Street by the Signal Hill Mall, you will find East Coast Wings, IHop, JD’s Deli, Gluttons, Charandas, and a variety of fast food choices. Out by the Crossroads Shopping Plaza, you will find Chilis, TGI Friday’s, Logans, Applebees, Red Lobster and so much more. Don’t forget the famous Jay Bee’s Hotdogs, Carolina BBQ, and Phifers Wings and Barbeque. Statesville has a beautiful library close to downtown and offers recreational facilities for families at the Statesville Fitness and Activity Center, the YMCA, the Boys and Girls Club, ZX Fitness, All American Fitness, Total Fitness and more. Kids will enjoy gymnastics programs through KPAC or maybe some Tae Kwando at Mr. W’s.